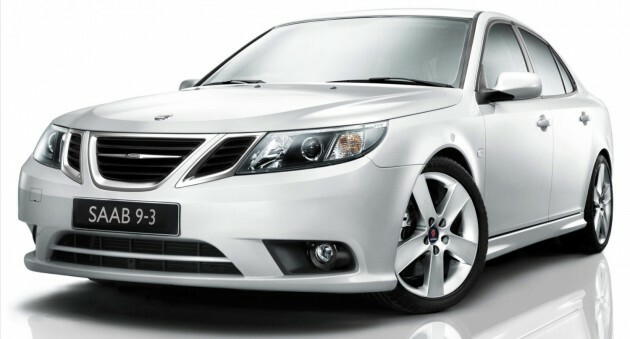 Well, it looks as if the Saab 9-3 will live on, but not as a Saab. The intellectual property rights for the car – along with royalties – for the car have been purchased by Turkey, which will use the platform as a basis to develop its national car, news reports indicate. 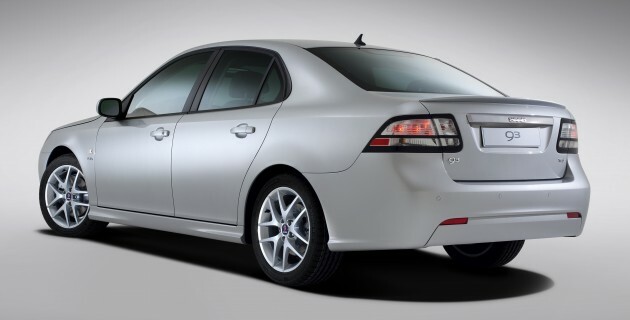 The country’s Science, Industry and Technology Minister Fikri Isik said that Turkey had bought the Saab 9-3’s intellectual property rights, but not its name, Hurriyet Daily News reported. “The brand will be a Turkish brand, it will not be Saab. We’ll develop the technology in Turkey,” Isik said in a televised interview. The decision to go with the Saab route was put down to speed, according to the Daily Sabah. Isik said that while it would be possible to produce a prototype from scratch and develop it, doing so would take up to five years and would cost US$1 billion, and the cooperation means that the government will not waste all that time and money. Isik said that Turkish involvement in the development will be high – the government will try to make sure that not only Turkish citizens are employed for the project, and said a minimum of 85% of the parts used for the car will be produced in Turkey once series production begins. The plan is to get the national car out by 2020. The deal was apparently inked some time back. Saab CEO Mattias Bergman said both parties had signed on the dotted line on May 28, and the automaker had built prototypes, which were unveiled recently. Bergman added that Saab’s engineering team and the Scientific and Technological Research Council of Turkey (Tubitak) will work together in developing the design of the car, with Saab providing production parts and system overview. “We’ll also share our resources in product development. The resources we don’t have are provided by Tubitak. We work together with Tubitak engineers in their laboratories,” Bergman said. Meanwhile, Isik said Tubitak will assume the leadership of the project, but cooperation with Saab’s owners, National Electric Vehicle Sweden, will continue. He added that Turkey’s main goal was to advance itself in the field of extended-range electric vehicles, and the new car will be a platform for that goal. Nothing chicken about it then, the approach. Hi Turkish, Are you guys just waking up? Proton and Perodua has been around for more than 25 years, Tata India even longer, Chinese is also starting with thier Qoros with help of German, however big country like Turkey never late than not having national car at all. Turkey already built their own Armoured Personel Carrier (APC), radar. Turkey is also automotive assembly hub for the region for Ford and one Korean brand. Turkey already on par with us a decade ago. Now more advance than us. Turkey has a population of almost 80 million ppl. Malaysia not even 30mil. Therefore turkey has almost 3 times population of Malaysia and thus have the better economy of scale. Waja platform, gen2/sedan platform, savvy and saga platform together with the S4PH and S4PE engines. If they can sell 300k units a year and proton earns royalties – there you go. Turkey had many national car companies long before Malaysia did, as early as the 1960s. One of the better known names is Tofaş (1968-present), which started out rebadging Fiat cars, and still do today. The Tofaş Şahin is one of their best known cars. Tofaş has limited R&D capability, and today they are seen as just a subsidiary of Fiat, assembling and exporting Fiat vehicles in the region. There are also other Turkish national names, like Anadol, Karsan, Otokar, Askam, TEMSA, but they are either commercial or military vehicle manufacturers, or defunct. True, Turkey currently has no national car company with R&D capabilities, so this move could be a step towards that goal. Turkey has many companies like Perodua (assemble only, rebadge, changing bumpers), but none like Proton (engine and chassis design, independence etc.). However, Turkey has a far bigger automotive industry than Malaysia’s, and they’re something like the Thailand of EMEA (Europe, the Middle East, and Africa). They assemble and export a huge number of cars to neighbouring countries, their automotive industry is by far the largest among all the Middle Eastern countries. So yes, a Turkish national car will do very well indeed, they have a large consumer base, economies of scale, low labour costs and citizens who are proud and not ashamed of their local companies and talent. The only downside is politics, Turkey’s government is just as corrupted if not more than our BN. Why some person just always repetitively associate something with BN and politics, who care about BN! this is about Turkey first step toward national car RND and thousand km away from BN sphere. Don’t take my words out of context. I mentioned politics as part of the factors that could make or break a Turkish national car. Poor governance affects the whole country. There are strong relationships between governance and industry in most emerging markets, like Malaysia and Turkey. To say that governance has no effect on industry would be a gross underestimate. Just look where we stand in the world. How do you feel about that ? You have selective mind no body said governance has no effect on industry. My post said some person has repetitive behavior aways relate something with politics and BN, it seems you fill in bucket for yourself. I just looked up the link the famous industrial countries Italy, Czech, Croatia are worse.